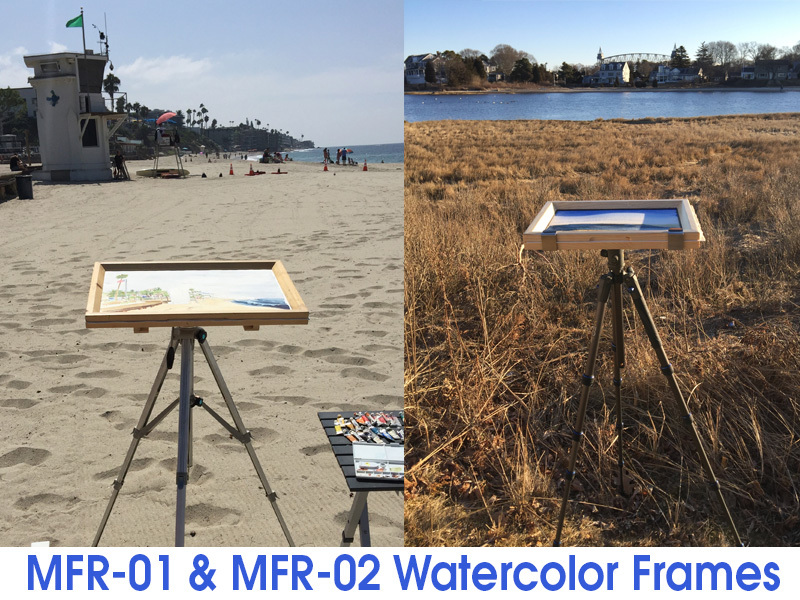 Our dynamic patent-pending Watercolor Frames are a "GAME CHANGER" for plein air watercolor artists. Each frame compression holds one sheet of paper. A rubber gasket keeps the pigment from your border. Now you can travel and paint with ease. 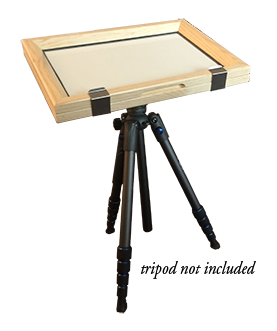 Our ManeFrame™ holds a half sheet, and our MiniFrame™ holds a quarter sheet of watercolor paper. Paintings can be done a single sheet at a time. At any time you can remove the painting from the frame and let the paint dry, then re-insert the paper to begin again. 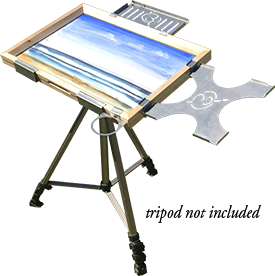 Imagine plein air painting with multiple paintings (sheets) going at the same time, with out the expense of pre-packaged, bound sheets. For sales to the contiguous 48 states, credit card purchases may be made via PayPal, please click the "Buy one direct" button next to the item you desire. *30-day money back guarantee, *does not include shipping and handling charges. Product must be returned in new (un-broken) condition and in original packaging. Note: If you reside outside of the USA or in Hawaii or Alaska? Or if you have questions, please click here to send an email. We'll send you an invoice to pay after figuring out any additional taxes, duties, and shipping costs. ©2014-19 Copyright, Eric M. Davis Studio, LLC, all rights reserved. The Folding Art Horse® is a registered trademark of Eric M. Davis Studio, LLC.